Over the past 30 years, credit card rewards have grown exponentially. What started in the mid-1980s with a handful of cash back credit cards is now a billion-dollar market home to literally hundreds of rewards credit cards and programs. Indeed, whether you want to earn points on gas, cash back on movies, or miles on groceries — there’s a card for that. With so many options available, it’s impossible to say which card is the best for everyone. Instead, we’ve selected the best cards from a number of popular categories to help you find the right match. If our top picks don’t quite hit the mark, don’t despair; there are plenty of credit cards fish in the proverbial sea — no matter what you want out of your next rewards credit card. Given the hundreds of rewards cards with dozens of different programs, bonus categories, and benefits, it’s hard to pinpoint even a top 10 overall, let alone narrow it down to three. In the end, every consumer will have specific needs that will vary from the needs of their neighbors. That said, we’ve done our best to scour the options and find three cards that will appeal to a wide range of potential cardholders. Our top overall rewards cards combine competitive purchase rewards, valuable bonuses, and useful benefits for nearly any lifestyle. Frequently ranked as a top travel card, this points rewards credit card is also a solid everyday card thanks to its bonus categories for travel and dining purchases. This card earns the coveted Ultimate Rewards® points, renowned for their versatility and high-value travel program transfer partners. One of the first cards to offer a rotating bonus category rewards program, this card allows cardholders to earn up to 5% cash back on purchases that fall into quarterly bonus categories. Bonus rewards are limited to the first $1,500 in category purchases each activated quarter. Offering unlimited 1.5% cash back on every purchase, this card is a good choice for nearly any consumer. This card works if you simply want easy rewards that can be redeemed for a statement credit, as well as for consumers who want to maximize their non-bonus-category spending. The sign-up incentive or bonus is a ubiquitous technique used across nearly all segments of retail, but credit cards have definitely put their own stamp on the concept of a signup bonus. The vast majority of credit cards now come with some sort of one-time bonus for new cardholders, bonuses often worth hundreds of dollars. Our top picks for this category all pack big bonuses worth more than $500 apiece. 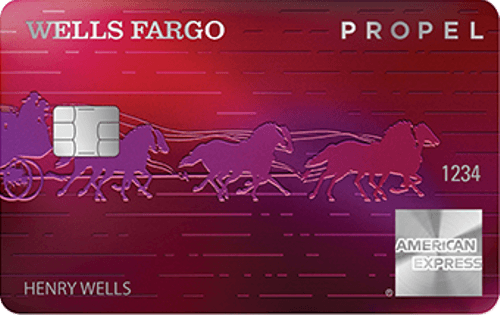 Though it debuted with a jaw-dropping 100,000-point bonus, this card has maintained the same 50,000-point bonus for a well over a year. Reserve cardholders can redeem those points for $750 in travel through the Chase portal, though Chase Ultimate Rewards® points can also be transferred to a travel partner, where smart redemptions can more than double their value. The Platinum Card® from American Express signup bonus varies like any other, but targeted offers for up to 100,000 points are not uncommon. Even the more typical 60,000-point bonus can be worth more than $600 when redeemed wisely. Redeeming your points for charity, gift cards, or airfare through the Amex travel portal will provide a value of 1¢ per point. To get the most value out of your Membership Rewards® points, consider transferring them to a partner airline or hotel loyalty program, where a smart redemption could earn 2¢ per point or more. The Citi Premier Card signup bonus varies regularly, but a 60,000-point bonus for spending $4,000 in the first 90 days is a frequent new cardholder offering. You can get 1.25¢-per-point value out of ThankYou® rewards as a Premier cardholder by redeeming for travel through the Citi travel portal. But, you’ll need to transfer to a travel partner’s loyalty program to maximize your ThankYou® points. As with most industries, the credit cards that garner the most attention in the rewards world are often the flashy top-tier travel cards with premium benefits — and giant annual fees. But you don’t need to fork over high fees to reap the, er, rewards of rewards credit cards. You can earn cash or points on every purchase and even maximize your earnings with a variety of bonus categories, all without paying a cent’s worth of annual fees. This card is a good addition to any cardholders wallet thanks to its universal 1.5% cash back rewards rate on any card purchase. Rewards don’t expire so long as your account remains open and in good standing, and there’s no limit to how much cash back you can earn. 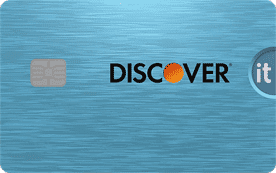 One of the few points rewards cards from a major issuer that doesn’t charge an annual fee, this pick is a solid everyday card with bonus categories that include both travel and dining purchases, as well as select streaming services. Cardholders can also enjoy cellphone protection when they use their card to pay their mobile phone bill. While this card isn’t quite as robust as its big sibling, it is more affordable with no annual fee. Cardholders can earn unlimited 3% cash back on dining and select entertainment, plus 2% cash back on grocery store purchases, and 1% unlimited cash back on everything else. 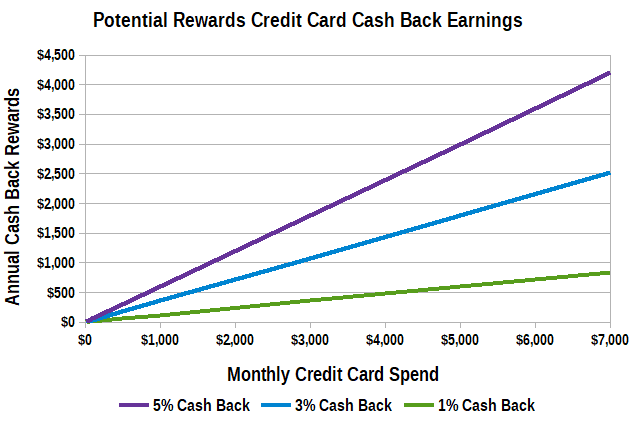 Cash back rewards were the first rewards offered by a mainstream credit card company several decades ago, but while points and miles rewards programs are equally common, cash back has yet to lose its appeal for many consumers. Perhaps the biggest draw of cash back cards is the simple redemption process for a statement credit, with no complicated variables to consider or transfers to perform. Of course, it may also be the lucrative rewards offered by many of the best cash back cards — like our favorites below. Even in today’s glutted credit card market, it’s hard to beat a card that offers 5% back, especially when it’s in useful rotating categories. This card’s 5% bonus categories rotate each quarter, offering 5% cash back on up to $1,500 in category purchases each activated quarter. 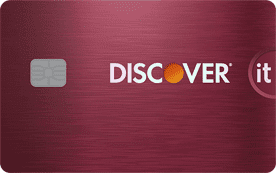 Similar to Discover’s program, this card’s cash back rewards bonus categories rotate each quarter. Cardholders can earn 5% cash back in popular categories on up to $1,500 in eligible purchases each quarter they activate their bonus category. The U.S. Bank Cash+™ Visa Signature® Card has a unique rewards program that allows cardholders to choose their own cash back bonus categories. Choose two 5% categories and one 2% category each quarter. Bonus 5% cash back earnings are limited to the first $2,000 in combined category purchases each quarter. Categories include a variety of useful purchases, including home utilities, department stores, furniture stores, fast food, and cellphone providers. The most versatile type of rewards, points can often be redeemed for a range of things, from cash back or gift cards to travel and merchandise. At the same time, that versatility can come with a cost, as the per-point value of your rewards will vary based on how you redeem them. In general, credit card rewards enthusiasts lump rewards points into two categories: transferable and non-transferable. Transferable points can be converted into frequent flyer or hotel loyalty rewards, which often unlocks extra value. Our top points rewards credit cards include a mix of both types of programs, as each has its pros and cons. Although the points you earn with this card are non-transferable, the fact that it offers such broad triple-point bonus categories while charging no annual fee definitely puts it at the top of the list. The included cellphone protection and hefty signup bonus are icing on the cake. Anyone who travels frequently or dines out on the regular can get a lot of value out of this card, which earns transferable Ultimate Rewards® points. While the card comes with an annual fee, the versatile points, lucrative signup bonus, and travel perks all add up to a lot of value. The Citi Premier Card earns ThankYou® points on every purchase, with triple points on travel expenses — including gas — plus double points on dining and select entertainment like movie theater and sporting event purchases. ThankYou® points are very flexible, offering a range of redemption options from cash back to gift cards to travel. Points can also be transferred to partner loyalty and frequent flyer rewards programs, often at a one-to-one ratio. While transferable points are in hot demand among rewards junkies, no matter how valuable your points or miles are, they’re completely useless if you can’t use them thanks to blackout dates and brand restrictions. That’s where rewards cards that earn flexible miles are handy additions to your wallet. Our top cards all earn unlimited miles on every purchase, miles that can be redeemed for a statement credit to cover any eligible travel-related expense. Designed specifically for travelers without strong brand loyalties, this card not only offers unlimited 2X miles per dollar on every purchase, but also provides 10X miles per dollar on hotels booked through hotels.com/venture. This card comes with unlimited 2X miles per dollar on every purchase, while also offering 5% of your miles back each time you redeem. 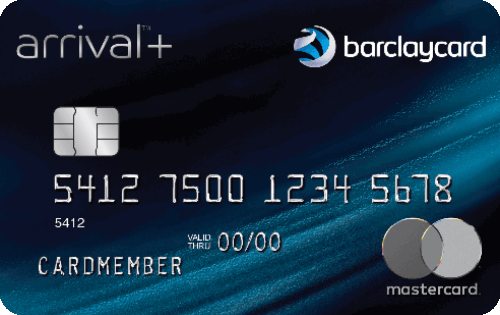 Take this card to the UK without fear with chip-and-PIN functionality and no foreign transaction fees. If the idea of unlimited flexible miles appeals to you, but the idea of an annual fee does not, this card may be your ideal option. It offers unlimited 1.5X miles per dollar spent, plus 10X miles per dollar on hotels booked through hotels.com/venture. Although a large number of credit cards offer rewards for travel purchases, a premium travel rewards credit card offers more than a few extra points or miles on your airfare or hotel stays. These extras include things like elite hotel status, primary auto insurance, or dedicated service lines. Many of the top travel cards also share several popular travel features, including travel insurance, Priority Pass™ Select membership, and a credit for TSA PreCheck or Global Entry. Our top cards also charge no foreign transaction fees, which can save you a bundle when making purchases abroad. In addition to triple Ultimate Rewards® points on travel and dining, this travel rewards credit card offers plenty of perks to make up for its annual fee, starting with a yearly $300 travel credit. It’s also one of the few cards to offer primary — rather than the more typical secondary — auto rental insurance coverage. The Platinum Card® from American Express is an ideal travel rewards card for frequent flyers without a favorite airline, as the card offers a high 5X Membership Rewards® points per dollar on flights booked directly with the airline, as well as flights and hotel stays booked through the Amex travel portal. Other travel perks include access to the Centurion airport lounge network (on top of the included Priority Pass membership), an annual $200 airline fee credit, and a monthly Uber credit for US rides. 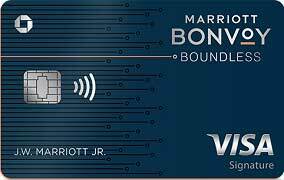 The U.S. Bank Altitude™ Reserve Visa Infinite® Card is a top-tier travel card reserved for existing US Bank customers. The card offers triple points on both travel and mobile wallet spending, as well as a healthy new cardholder signup bonus. Beyond rewards, this card also comes with a host of extra benefits, including an annual statement credit for eligible travel purchases worth up to $325. Cardholders also get access to the full spectrum of Visa Infinite® benefits. While having the flexibility to use your travel points or miles without brand restrictions can be worthwhile for many travelers, those who have a favorite airline may find a lot more value in the co-branded cards available from most airlines. Co-branded airline cards allow cardholders to earn frequent flyer miles on every purchase, typically offering bonus rewards for airline-branded purchases. These cards also come with extra benefits, like access to airport lounges, free checked bags, and on-board discounts. The Citi® / AAdvantage® Platinum Select® World Elite™ Mastercard® is ideal for moderate travelers who want to earn AAdvantage miles on everyday purchases like gas and dining, plus enjoy extra perks like free checked bags and priority boarding. Perhaps the most compelling reason to pick up this card is the signup bonus, a hefty pile of miles that can unlock free travel as soon as it hits your account. The Southwest Rapid Rewards Priority Credit Card is a good deal for Southwest Airlines loyalists who want to earn frequent flyer miles on everyday purchases. The card also comes with four annual Upgraded Boarding credits and an anniversary miles bonus. One of the most appealing things for many cardholders is that your points earned with this card — including those from the signup bonus — count toward the points requirement for the coveted Southwest Airlines Companion Pass, which can provide discounted fares for over a year. The Alaska Airlines Visa Signature® card is great for Alaska Airlines frequent flyers, as well as those who fly with its Mileage Plan partners. The card earns triple miles on Alaska purchases and unlimited miles on all other purchases. While it’s rewards are nice and the free checked bag can be a good value, what makes this card a true bargain is the annual Companion Fare™. With the Companion Fare™, cardholders can purchase an upgradable economy companion ticket for just $99 plus fees, which start at $22. To some travelers, any old hotel will do the trick — so long as the linens are clean, at any rate. For other travelers, however, there’s one hotel brand that always fits the bill, offering consistent service that creates loyal visitors. While flexible rewards cards are best for travelers in the former group, the latter will likely get the best value from co-branded hotel credit cards. On top of providing the ability to earn hotel loyalty points, co-branded cards come with extra perks like elite status and free WiFi. The Hilton Honors Ascend Card is designed for Hilton regulars who want to earn Hilton Honors points on everyday purchases. Not only do cardholders earn 12X points per dollar on Hilton purchases, but you’ll also earn 6X points for US restaurant, supermarket, and gas station purchases, and triple points on everything else. This card’s perks go well beyond purchase rewards, of course. Cardholders also receive complimentary elite status, free Priority Pass visits, and the ability to earn a free night award for spending $15,000 on their card in a calendar year. The IHG® Rewards Club Premier Credit Card is ideal for travelers who prefer IHG hotels, offering 10X IHG® Rewards Club points per dollar on IHG purchases. It also offers double points on gas station, grocery store, and restaurant purchases. One of the card’s best value features is the Fourth Night Free, which gives you a free award night for stays that extend at least four consecutive nights. Other benefits of the card include a Global Entry or TSA Pre✓® fee credit every four years, a free night award each year after your account anniversary, and complimentary elite status. Although some consumers may not care a bit about where they buy their goods — other than finding a deal — plenty of purchasers prefer to frequent the same retailers for their shopping needs. While you can typically find an open-loop credit card that offers bonus rewards for your purchases no matter where you shop, some store co-branded credit cards can provide better savings for brands you shop the most than you’ll get from a general-purpose card. The Target REDcard has a somewhat unusual rewards structure in that you don’t earn redeemable rewards. Instead, cardholders earn 5% off their purchase at the register, immediately reducing your out-of-pocket costs. Cardholders can access a number of additional card perks, including exclusive coupons and deals, plus free two-day shipping for purchases made on Target.com. Also, enjoy an extra 30 days to return Target or Target.com purchases with extended returns. The My Best Buy Credit Card provides 5% back in Best Buy rewards on every Best Buy purchase under $199. Larger purchases have the option to earn rewards or receive special financing. While the card’s financing deal can be tempting, be sure you can pay off your purchase in time. This card uses deferred interest, which means you’ll be on the hook for interest on the entire financed amount if you can’t pay off the purchase before the promotional period ends. The Amazon.com Store Card offers special financing on orders of $149 or more to all cardholders, but the card is significantly more worthwhile for cardholders who are also Prime members, as they earn 5% back in rewards on Amazon.com purchases made with the card. As with many store cards, this card’s special financing operates with deferred interest, which means you’ll need to pay off the entire financed amount — down to the last dollar — before the financing terms expire or you’ll be charged interest on the full amount. Given the rampant success of the consumer credit card rewards market, credit card issuers would have been fools to ignore the potential in the business credit card market — and most issuers aren’t fools. Today’s business credit cards come in nearly as many flavors as consumer cards, offering points, miles, and cash back in a variety of programs. Our top picks for this category include both bonus category and unlimited rewards options that can work for many businesses. The only business credit card that earns Chase Ultimate Rewards® points, this card is a good home for your travel purchases with 3X points per dollar on everything from airfare and hotel stays to parking and tolls. Cardholders also earn triple points on a range of business expenses, earning triple points on up to $150,000 in combined bonus category purchases each cardmember year. An unlimited cash back card, this option offers the same 2% cash back on every purchase, with no categories to track or activate. The card’s signup bonus adds to its value, making up for several years’ worth of annual fees. 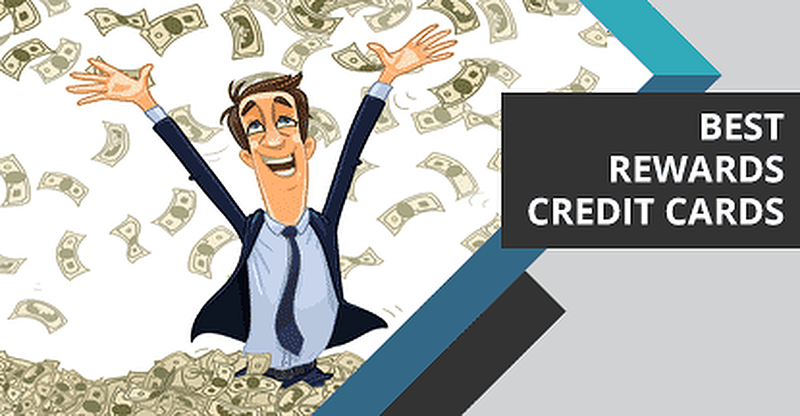 Rewards are easily redeemed as a statement credit. The U.S. Bank Business Edge™ Select Rewards Card has an unusual rewards program that allows users to select their 3X points bonus rewards category from three broad options, each of which includes multiple subcategories. College is a time of learning, and one of the best things you can learn in that time is how to responsibly handle credit. Student credit cards are specifically designed to help students establish and build credit, offering an attainable way to start your credit journey. While a number of major credit issuers offer student credit cards, the quality will vary widely. The best cards will offer useful features, like purchase rewards or cellphone protection, and they won’t charge you an annual fee. This student card is almost indistinguishable from the non-student version — in all the best ways. Cardholders earn really competitive purchase rewards, pay no annual fee, and can even access an intro APR offer. Plus, students who maintain a GPA of 3.0 or better can receive an annual Good Grade Rewards statement credit. This unlimited cash back student credit card encourages responsible credit card behavior by offering extra cash back when you pay your card bill on time. Making the first five payments on time can unlock a higher credit line. There are also no annual or foreign transaction fees. The Citi Rewards+℠ Card for College Students is a solid everyday card thanks to its 2X points per dollar on supermarket and gas station purchases, broad categories that include a wide variety of merchants. Plus, your rewards will automatically round up to the nearest 10X points for every eligible transaction. Not only does this card offer useful purchase rewards, but it also comes with a small signup bonus with an easy-to-obtain spending requirement, as well as an intro APR offer good for 0% interest on new purchases. While it’s all well and good to have a stable of cards, each bred for a specific purchase type, there’s something to be said about having one card you can turn to day in and day out. A good everyday rewards credit card should offer rewards that, well, you can use nearly every day. Things like bonus rewards at grocery stores and gas stations, maybe with some dining rewards thrown in for good measure. Our top cards offer big bonuses on many of the things we all need almost every day. This card has you covered for a variety of everyday expenses, including 4% cash back for purchases that fall into the card’s broad dining and entertainment categories. Cardholders can also earn 2% cash back on groceries and unlimited 1% cash back on everything else. The Blue Cash Preferred® Card from American Express not only offers an unbeatable 6% cash back on up to $6,000 in groceries each year, but it also comes with 3% back at US gas stations. While this card does come with annual fee, its solid signup bonus is enough to make up for the annual fee for the first two years. Plus, spend just $31 a week on groceries with your card to break even on the annual fee after your signup bonus runs out. The PenFed Platinum Rewards Visa Signature® Card provides a market-leading 5X points per dollar on gas purchases, plus cardholders can earn 3X points per dollar on groceries. Although you need to be a member of PenFed Credit Union to qualify for this card, there are several ways to become eligible for membership, including joining the National Military Family Association or Voices for America’s Troops for a small one-time fee. Although the chefs of the world — both home and professional — pepper the (digital) airwaves with nearly every type of cooking you can imagine, the sad fact is we all love to watch people cook more than we enjoy cooking ourselves. Given the data, it’s little surprise that Americans spend billions on dining each year. But you can get back some of your contribution with a good dining rewards card. Our favorites offer high rewards rates for a broad range of dining options, whether you dine in, drive thru, or take out. This card is great for a night on the town, or just an evening on the sofa, offering 4% cash back on dining and entertainment. These broad categories cover everything from beer and bowling to take-out and a movie rental. The 2% back on grocery store purchases and unlimited 1% cash back on everything else adds extra value. With this card, users can earn 2X Ultimate Rewards® points per dollar on dining purchases, a broad category that includes any merchant registered as a restaurant, from eat-in and fine-dining establishments to fast food windows and take-out services. The 2X points on travel can also come in handy if you’re headed on an adventure — maybe for some foreign cuisine. Earn triple rewards points per dollar at the restaurant — and on the way there with this no-annual-fee option. This card’s dining and travel bonus categories include eating out and ordering in, as well as gas station purchases, ride shares, and transit. The average commuting American can go through more than 600 gallons of gas each year, an expense of more than $1,500 at even a relatively low $2.50 per gallon. While many drivers consider turning to gas station co-branded credit cards, your typical gas card simply can’t stack up to the current open-loop credit card market. The best gas rewards credit cards make it easy to take the edge off that $1,500 by offering at least 3% back on gas, as well as providing other useful bonus categories. This card works for nearly any kind of travel, as its broad travel category includes gas station purchases, as well as ride shares and other transit. You’re even covered on that fast food pit stop or morning coffee with triple points on dining. The PenFed Platinum Rewards Visa Signature® Card provides a market-leading 5X points per dollar on gas purchases, with no limit to how many bonus points you can earn. Cardholders can also earn triple points at grocery stores. The Citi Premier Card has a broad bonus rewards category for travel purchases that includes gas on top of the more typical airfare and hotel stays. Users also earn bonus points for dining and entertainment purchases. Once upon a time, you’d have to be among the credit elite to qualify for a competitive rewards credit card. These days, you can find a way to earn purchase rewards at any point on the credit score spectrum. While secured credit cards are a good option for getting rewards with a low credit score, consumers with at least fair credit can qualify for a number of unsecured rewards cards that won’t require a deposit. Offering an unlimited 1.5% cash back on every purchase, this card can help you earn rewards no matter where you shop. Users who pay their first five monthly payments on time can qualify for a rate increase, and the card typically be transitioned to a no-fee card once your credit improves. Qualified applicants for this card can earn 1% cash back on every purchase, with no categories to track or activate. Your exact rewards offer, annual fee, and APR will all depend on your creditworthiness when you apply. Similar to other Credit One credit cards, this pick offers 1% cash back on every purchase to qualified applicants, as well as the potential for a low or no annual fee. Cardholders can also pick their own due date and see their Experian credit score for free. Requiring a deposit to open and maintain, secured credit card accounts are less risky to the credit card companies, which makes them available to nearly any credit type, including applicants with bad credit. What’s more, some secured credit cards even go so far as to offer purchase rewards easily comparable to some of the cards available to consumers with better credit. Some of our top picks won’t even charge you an annual fee. This card is a triple threat, not only offering unlimited cash back on every purchase, but also charging no annual fee and offering the opportunity for an automatic upgrade to an unsecured card when you’ve shown sufficient credit improvement. You’ll need at least a $200 minimum deposit to open an account. The SunTrust Secured Credit Card with Cash Rewards offers unlimited cash back on every purchase, plus bonus cash back on gas and grocery purchases each year. This card requires a minimum $300 deposit to open. The State Department Federal Credit Union Savings Secured Visa® Platinum Card is a no-annual-fee card that provides unlimited 1X per dollar on every purchase. Cardholders will need to make a minimum deposit of $250 to open the card. You’ll need to be a member of the State Department Federal Credit Union to qualify. To become a member, you’ll need to be a US Department of State employee, employed or affiliated with an eligible organization, be an immediate family of a member, or be a paid member of the American Consumer Council (ACC). There are two main parts of the credit card rewards equation: earning the rewards, then redeeming them. The complexity of either step in the process will depend on the specific rewards program and credit card issuer. In general, earning purchase rewards with a credit card is pretty straightforward. In essence, you just make purchases as you would with any other credit card, and the rewards start adding up. That’s because the vast majority of rewards programs earn rewards automatically on eligible card purchases, with no extra effort required on your part to earn cash, points, or miles. 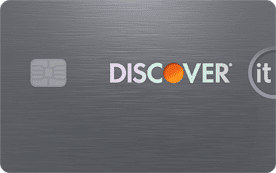 The main exception to this rule are cards that have rotating bonus rewards categories, such as the Discover it® Cash Back or the Chase Freedom®. For these types of cards, you typically need to activate your new bonus category each quarter to start earning bonus rewards (though the unlimited 1% cash back on non-bonus purchases is automatic). Redeeming your rewards is where the process can get a little more complex, particularly for points and miles that offer multiple redemption options. Cash back rewards are typically the simplest to redeem, as cash back is most often redeemed as a credit card statement credit right from your online banking profile or mobile app. You can redeem cash back rewards any time once you hit the required minimum redemption amount (typically $25 in cash back, though it varies — some programs have no minimum). Redeeming credit card rewards miles can also be fairly simple, especially for cards, like the Capital One® Venture® Rewards Credit Card, that earn flexible miles. These cards allow you to redeem miles for a statement credit toward eligible travel expenses. Besides flexible miles cards, most other cards that earn miles rewards are co-branded airline cards. In these cases, the miles you earn are added to your frequent flyer account and redeemed just like any other frequent flyer miles you earn through travel or other means. 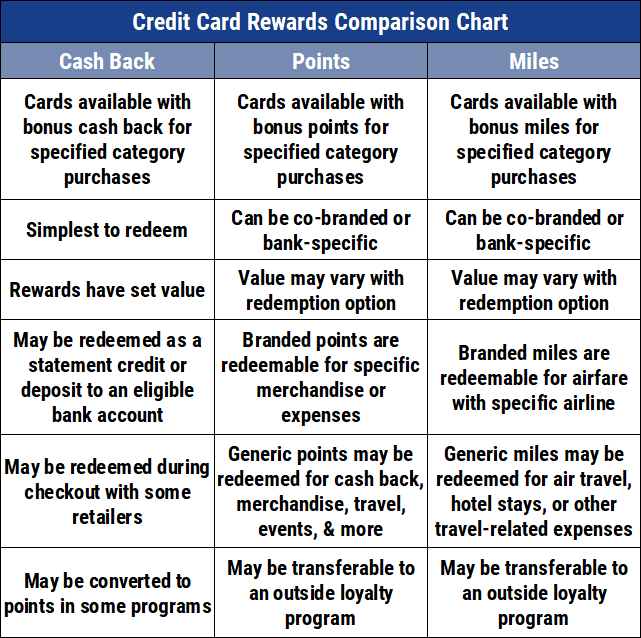 Rewards points are by far the most complicated type of credit card rewards to redeem, with big variations in the level of complexity between programs. That’s because points can often be redeemed for a wide range of options, including gift cards, merchandise, and travel. Adding to the complexity is the fact that the per-point value of your rewards will typically depend on how you redeem them. Some transferable points programs, like Chase’s Ultimate Rewards® program, allow points to be transferred to partner airline or hotel loyalty programs, unlocking fairly significant per-point value. How Do I Maximize My Rewards? If you’re not interested in putting much effort into your credit card rewards, the process can be as simple as using an unlimited cash back card on every purchase for a statement credit every few months. However, this strategy leaves a lot of potential value on the table. Thankfully, you can maximize your credit card rewards without making it your new day job. All you really need to do to maximize your earnings is to find the right combination of credit cards that offer good rewards rates for the purchases you make most often. Then, it’s as simple as being sure to use the right card for each purchase type. For example, if you spend a lot of money on dining, one of your credit cards should allow you to earn points or cash back on dining purchases. No matter what you spend most of your money on, there’s very likely a credit card that will offer you bonus rewards for those purchases. Always use the best rewards credit card for each purchase to avoid leaving valuable rewards on the table. A good way to start maximizing your rewards is to look at your current bills and make a list of your top expenses. When you know what you spend, you can find cards that complement those spending habits. If you have a number of regular purchases that don’t fall into any bonus categories, consider adding a good unlimited cash back card to your collection. Options offering 1.5% to 2% cash back on every purchase are plentiful and can add value you’d otherwise miss for non-bonus purchasing. In some cases, pairing multiple cards from the same credit card issuer can unlock extra value. For example, the Chase Freedom® card will earn cash back on purchases by itself, but that cash back can be turned into Ultimate Rewards points if you have another Chase card that already earns Ultimate Rewards. Another way to get more rewards out of your credit cards is to make sure you earn any available signup bonuses when you apply for new cards. A one-time bonus to lure in new cardholders, signup bonuses typically require hitting a minimum spending amount within the first few months of account opening. Of course, don’t focus so much on the purchase rewards that you forget to take advantage of your credit card’s extra benefits. For instance, many top-tier travel cards offer access to airport lounges that can make your travel more enjoyable, or purchase protections that can save you money if a new buy breaks. How Do I Earn a Signup Bonus? A common new-cardholder incentive offered by credit card issuers, a signup bonus is a one-time bonus given to eligible cardholders in the form of a lump-sum of rewards. These bonuses can be worth hundreds of dollars, making them an easy way to score a lot of value. In addition to being a new cardholder, you’ll typically need to meet a minimum spending requirement within a designated time period (typically within 90 days of account opening) to earn the bonus. The larger the signup bonus, the larger the spending requirement will generally be. While signup bonuses can be very lucrative, here’s a word of warning: Never, ever spend more than you can afford to repay just to earn a signup bonus (unless you have an active 0% APR offer). Each month you carry that balance will mean more interest fees eating into your bonus, so you’ll essentially be paying back your signup bonus through fees. Never charge more than you can repay just to reach a signup bonus. 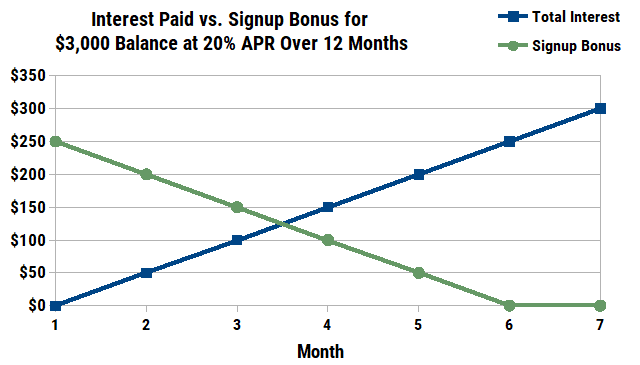 Just six months paying interest on a spending requirement can eat away an entire $250 signup bonus. Another consideration gaining increasing importance is individual signup bonus eligibility. More and more credit card issuers are implementing limitations on who can earn a signup bonus — or, more specifically, how often you can earn that bonus. One of the most notorious issuers for signup bonus limits is American Express, which explicitly limits all cardholders to one signup bonus per card per lifetime. Other issuers limit new bonuses based on the individual card, typically restricting bonuses to once every 24 or 48 months per product. More recently, issuers have also started implementing restrictions based on the family of cards. For example, if you earn the signup bonus for the Chase Sapphire Preferred® Card, you can’t earn the bonus for the Chase Sapphire Reserve® for 48 months. Which Rewards Credit Card is the Best for Me? Many factors go into choosing the right rewards credit card — or combination of cards — but it mostly comes down to knowing what you need from your card before you start searching. The current credit card market is full to bursting with options, so there’s no one right card for everyone. A good place to begin finding the right card is to determine which type of rewards you’re most likely to use, since rewards do you little good sitting fallow in your account. If you rarely travel, for instance, then a travel rewards card best known for its transferable points is unlikely to provide much utility. In these cases, a cash back card may be a better fit. On the other hand, if you frequently travel, then you may be looking at travel rewards cards that also offer no foreign transaction fees. Besides the type of rewards the card earns, the categories in which it earns them are equally important. A card offering bonus rewards on dining is most useful to people who, well, dine out. And if you don’t own a car, a card that lets you earn points for gas purchases is of limited value. Another major factor in finding the right rewards card is qualifying for the card in the first place. Most of the best rewards cards will require at least a good credit score, if not a downright excellent one, though there are options for fair- or bad-credit applicants, as well. If you’re unsure of whether you’ll qualify for a certain card, you can usually check for pre-qualification offers from the issuer. Pre-qualification (sometimes called pre-approval) uses a soft credit inquiry — which won’t hurt your credit — to estimate your chances of approval. While pre-qualifying for a specific card can be a good indicator of whether you’ll be approved, it is by no means a guarantee of approval when you fill out an application. Other factors, such as your income and specific credit history, will also contribute to the decision. Can I Earn Rewards on Balance Transfers or Cash Advances? One of the most common questions asked by rewards newbies (and even some experienced earners) is whether you can earn rewards on non-purchase transactions like balance transfers or cash advances. Unfortunately, while you may have visions of transferring your balance from card to card to earn big rewards, this simply isn’t the case. For nearly every credit card on the market, only net new purchases will qualify to earn rewards. Not only does this mean balance transfers and cash advances won’t earn rewards, it also means that any returned purchases or refunds may cause you to lose the rewards earned by the original purchase. Similarly, non-purchase transactions and refunded purchases won’t count toward the spending requirement for signup bonuses. Only new purchases will help you qualify for the bonus in the vast majority of cases. Of course, even if you could earn rewards on balance transfers or cash advances, it likely wouldn’t be a profitable arrangement. 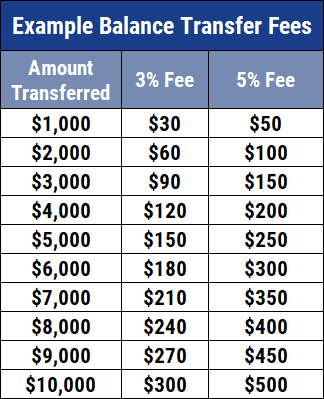 Most credit cards charge a balance transfer fee or cash advance fee for each transaction, and these fees often range from 3% to 5% of the transaction amount. Additionally, many credit cards charge a fairly high APR for balance transfers and cash advances, and neither transaction type qualifies for a grace period, so interest will start to accrue right away. This can further degrade any potential rewards you could earn even if the card offered the opportunity. Although many of us would likely still use credit cards for the security and convenience even without the rewards, the competition among credit card issuers for new cardholders is such that rewards are likely here to stay. And good thing, too, as credit card rewards can be a source of significant value to nearly any cardholder, regardless of credit type or spending habits. The huge number of rewards cards available these days means almost anyone can find a card that complements their lifestyle. That being said, never think that credit card rewards can make up for irresponsible card use. Making purchases you can’t repay or making late payments can have significant consequences to both your finances and your credit.